Today's life is surrounded by things that are meant to give you comfort. The technology has changed the lifestyle, and everyone wants to adopt that high lifestyle. You can be the point of attraction, you can taste the high-level lifestyle by becoming the proud owner of the car. Oh! 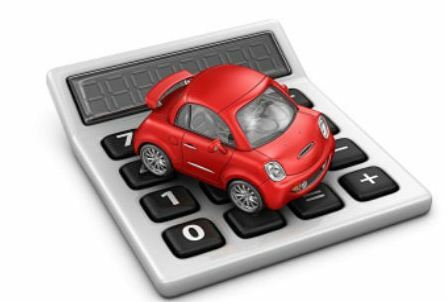 So you are looking to buy a car, but lack of fund is the problem you are facing? Well, don't panic! The car loan is meant to help you. You can be financially able to buy a car by taking a car loan for any bank. Of course, you should opt for the bank that provides the best car loans. By best, I mean the car loan in which you pay a low-interest rate while getting high quality and speedy service. There are many banks in India which run different schemes to attract the customer. Here is the list of five banks that provide best car loans. Whether you want to buy Multi Utility Vehicles or SUVs, you can get a loan from SBI. The interest rate of SBI is only 10.70 percent, and the maximum that you can get the loan is the 48 times of your annual income. You are given 7 years to repay the loan amount, which is indeed a very good time period. There is not any load of documents that you need to submit to get a loan from SBI. Your salary certificate, Voter ID or PAN Card photocopy, Bank account statement for the last 6 months, and two photographs (passport size). Just like the SBI, the interest rate on the car loan provided by Union Bank is 10.70 percent. You can get a loan to buy a new vehicle, which can be two-wheeler or four-wheeler. If you are looking to buy a second-hand vehicle, then also the Union Bank is good for you. The car loan at the 10.70 percent interest rate is quite attractive, but, this much interest rate is only in the case you have a permanent job in any government sector such as Central, State, Defense, Police Force. Even if you are doing the job in a reputed MNC, then also you can get a car loan at the aforementioned interest rate. The time that you are allotted is 60 months, which is less than what SBI allots. If you are looking to buy any of Ford car, then there is an exception which is in your favor. The exception is that you can repay the loan amount in 7 years. Axis bank has also good offers to make your dream of owning a car a reality. If you have been an account holder in Axis bank for at least 3 months, then you can apply for a car loan. The terms and conditions are not tough, which makes the car loan taking process simple and axis interest rates also low for loans. If you have been working in your current company for the past two years minimum, and have 1.5 to 2.5 lakh annual income at the very least, then you can easily get a loan from Axis bank. The time allotted to repay the loan amount is from 1 to 5 years. You can take a car loan to buy a new car or any second-hand car with interest rate being 12 percent. The maximum loan amount that you can get is 75 lakhs. The margin for new cars is 15 percent, while for the old cars, it's 25 percent. The time allotted to repay the loan amount is different depending on if you have taken a loan to buy an old car or a new one. For a new car, 84 months time period is there, and for an old car, 60 months time period. Applying for a loan is not any big task. 4000 Rs. is the processing of up to 10 lakh loan. If your loan is more than that, then 8000 Rs. is the processing charge. Dena Bank Interest rate is 12 percent. If you want to get the loan to buy a new car, then you must have a minimum of 1.50 lakh income annually. Bank sanctions loan of up to 8 lakhs. Up to loan of 2.50 lakhs, the processing fee is Rs. 1000. The processing fee for higher loan amounts is as - Rs. 1500 for above 2.50 lakhs, Rs. 2500 for above 7 lakhs. The time allotted is 60 months, if you took the loan to buy a new car. In case if you took the loan to buy the used car, you will be given the maximum of 36 months to repay the loan amount. I like the public sector job for car loans.